Brand new Russian un-issued sling. OD green canvas, metal hardware, and all the correct markings. Brand new Russian un-issued sling. These are an absolute must have for any collector. OD green canvas, metal hardware, and all the correct markings. 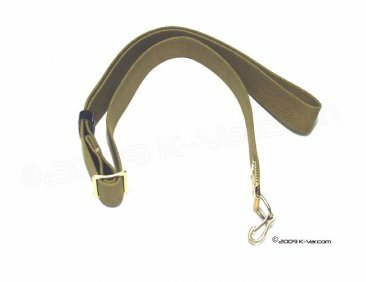 These original Russian slings may never be seen again, and we have a very limited quantity.